Client satisfaction in the UK PR sector has risen by 15 percentage points from last year, according to half-year figures from data consultancy Question & Retain (Q&R). 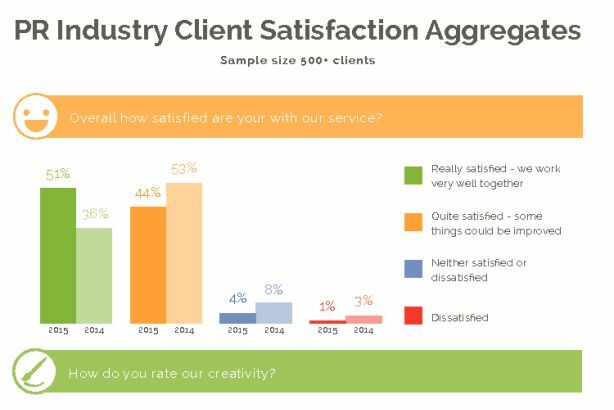 The study of 500 clients found that overall satisfaction has jumped from 36 per cent in June 2014 to 51 per cent this month. Ratings for creativity and strategic counsel have risen by 14 and 11 percentage points respectively. The percentage of clients who said they were "very likely to recommend" their PR agency has increased from 59 per cent to 66 per cent year-on year. Annabel Dunstan, co-founder of Q&R, said: "When you put time and effort into genuinely acting on client feedback, you reap the rewards. We work with a growing number of PR consultancies who are at the top of their game when it comes to putting client satisfaction at the heart of their businesses."